LEFT TO RIGHT BACK ROW: CLAYTON STUTZMAN, JEFF KIGHTLINGER, GREG HIGHFIELD, ROBERT "BO" ZUKNICK, TOM McLAUGHLIN, JACK BUTLER, GERALD STRUNK. LEFT TO RIGHT FRONT ROW: HUGH PLANITZ, WALT MASSIE, JOHN MILES, JOHN HEFFLEFINGER, EDDIE DINKA. 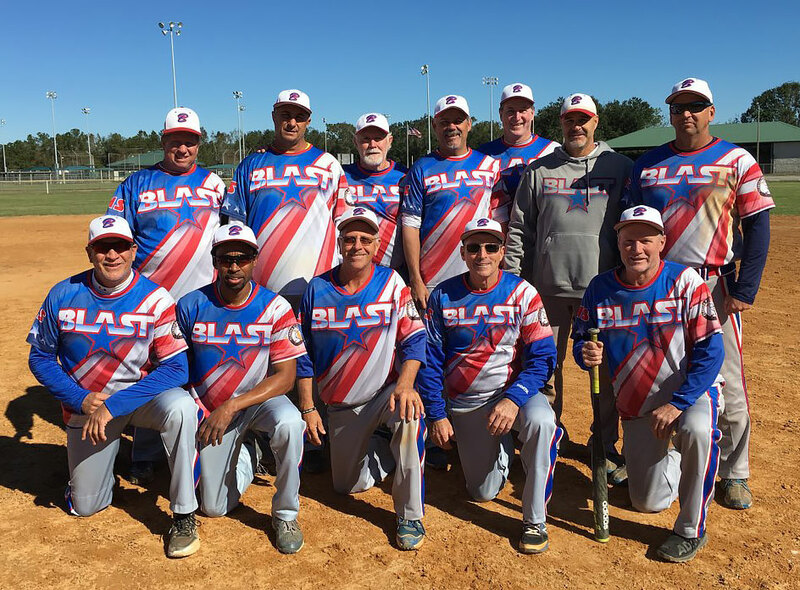 The Blast is a 2-time Super A Bracket 1 State Champion, with the other coming in December 2014. After 7 great years as the Blast, the team will be starting their 8th year in 2018 with a new name and new sponsors, "Twin Palms / VIP Sportswear". Looking forward to a great year. Special thanks to FHC chairman Mike Knowles, who started sponsoring and coaching our current team in 2011. After 2 regular season championships, and 2 state championships, Mike has moved on. Thanks from all the guys!